With decent weather forecasted on Saturday, 03-30-12, followed by a storm front on Sunday, which arrived as scheduled, everyone scrambled to get out on Saturday and scratch their fishing itch. 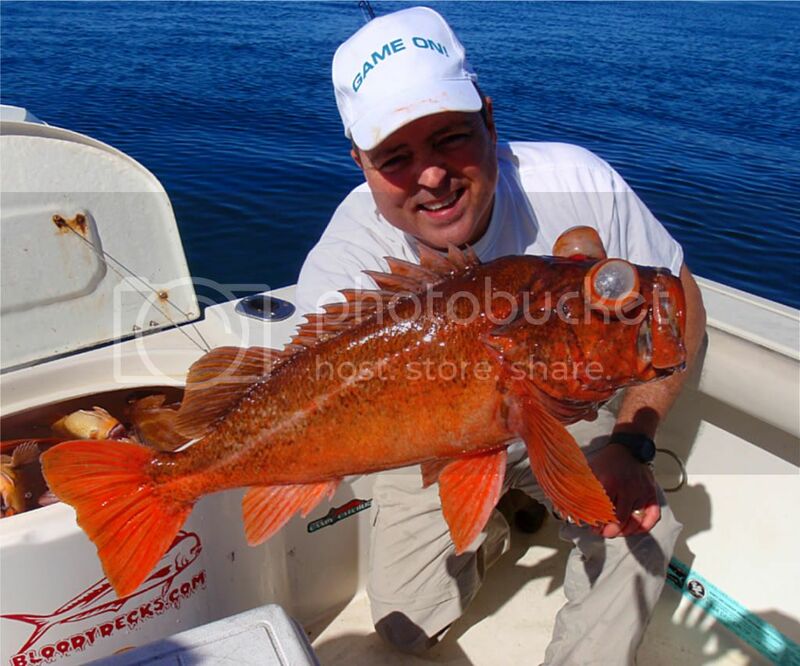 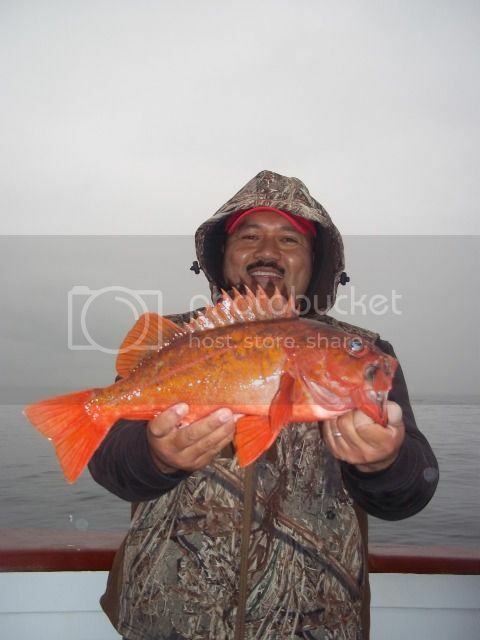 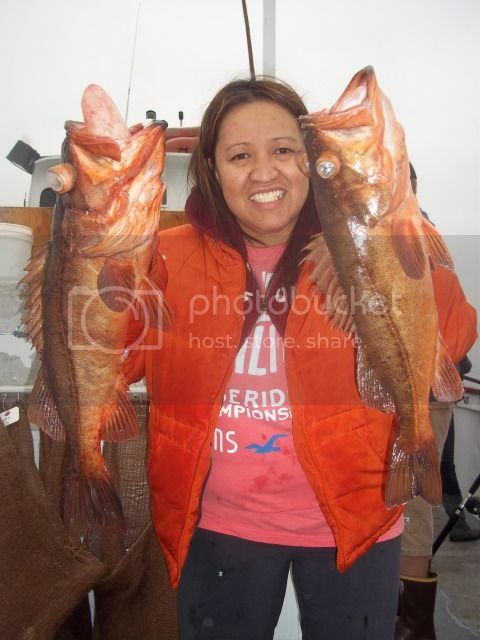 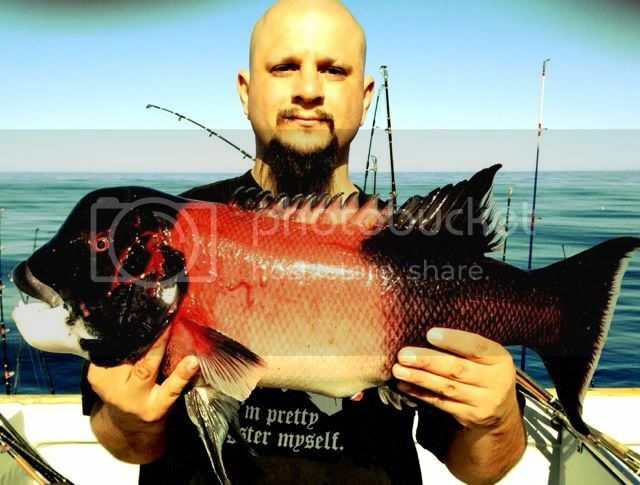 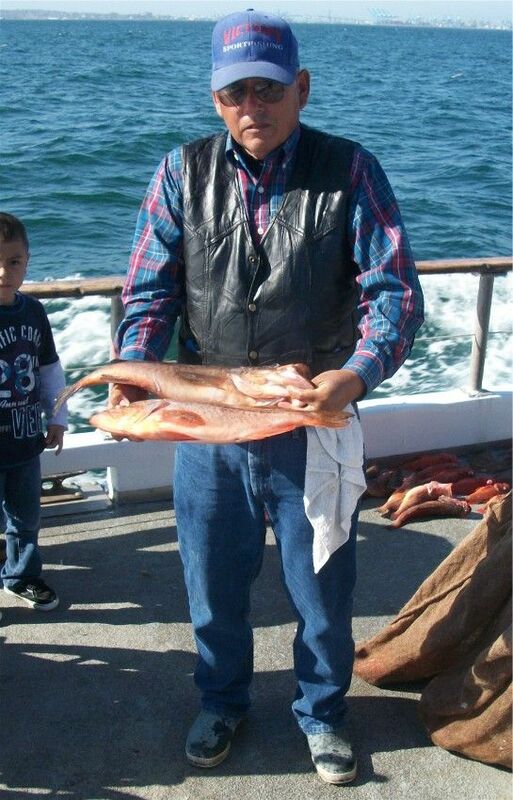 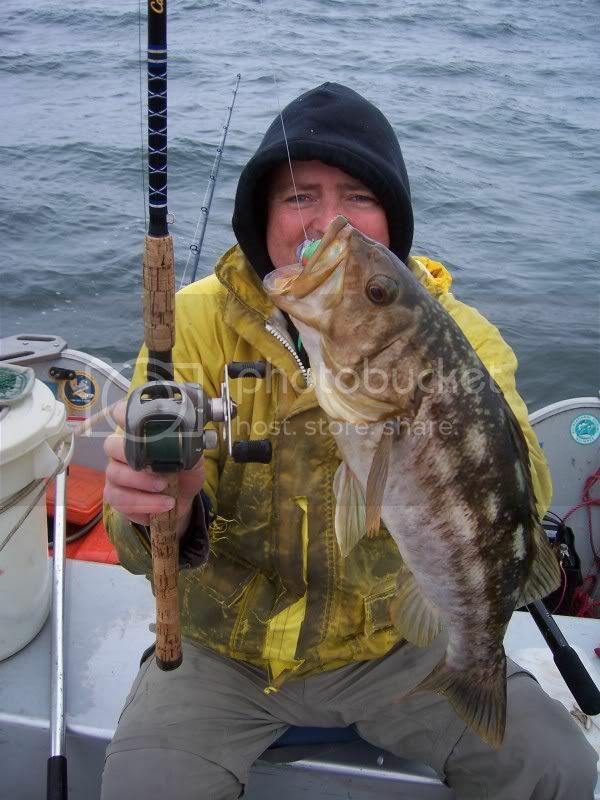 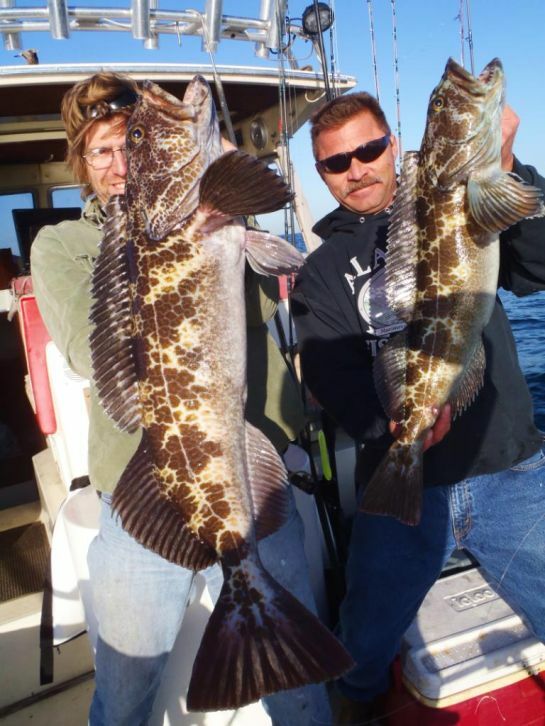 Since opening day of the Rockfish season, March 1st, most everyone has been targeting Reds and Lingcod, with Bass fishing very slow due to cold and dirty water. 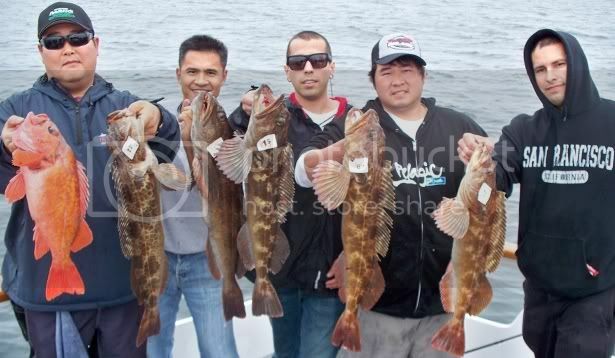 For the most part it has been an excellent month of Rockfishing in between storms. 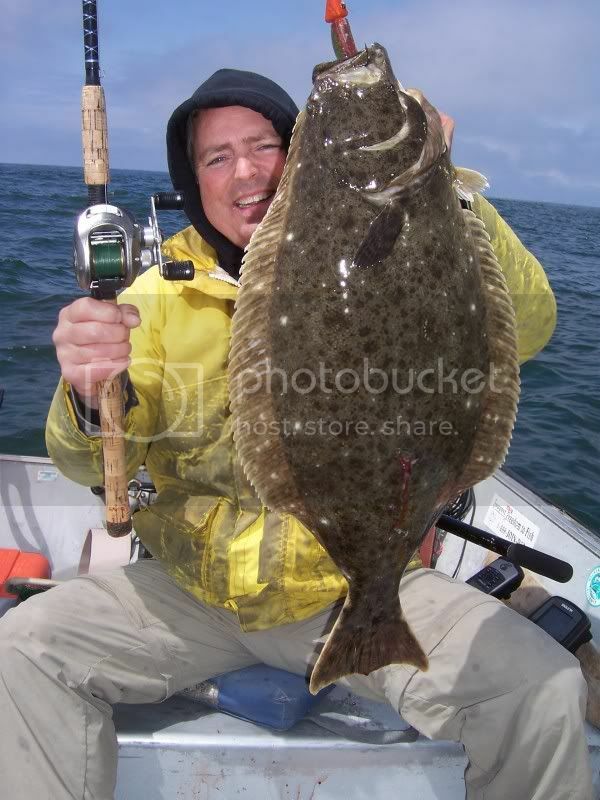 Occasionally being targeted are Halibut, and there have been some dandy catches on these tasty fish. 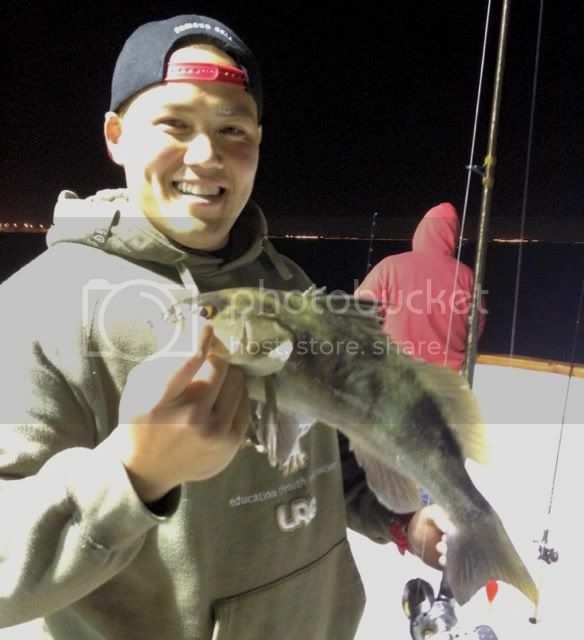 Twilight fishing: The Slammer out of Redondo Sportfishing ran a trip on Saturday, 3-31-12, with 3 anglers catching 20 Sand Bass. 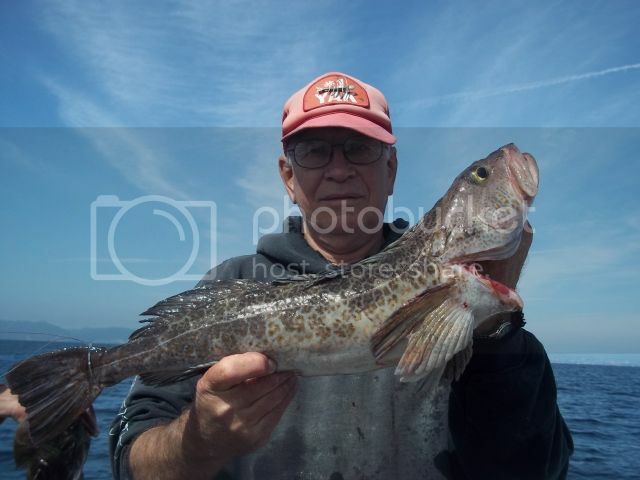 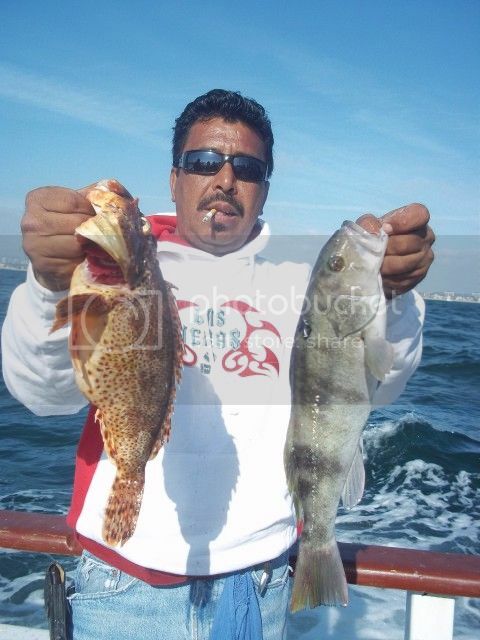 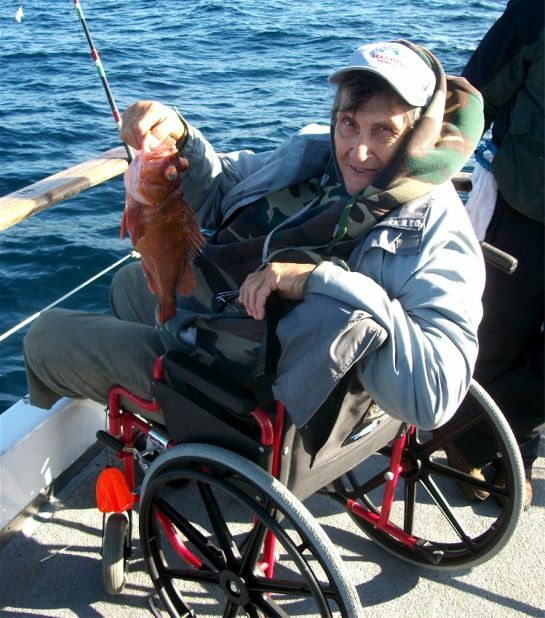 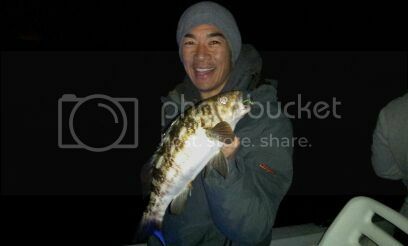 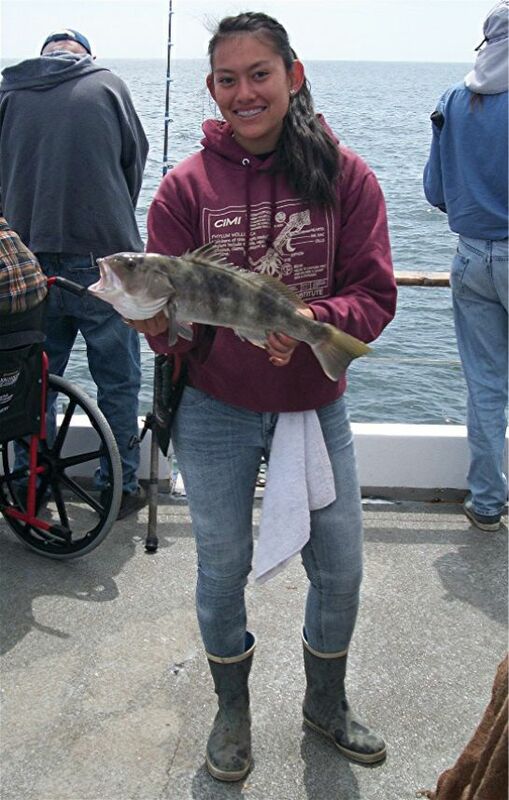 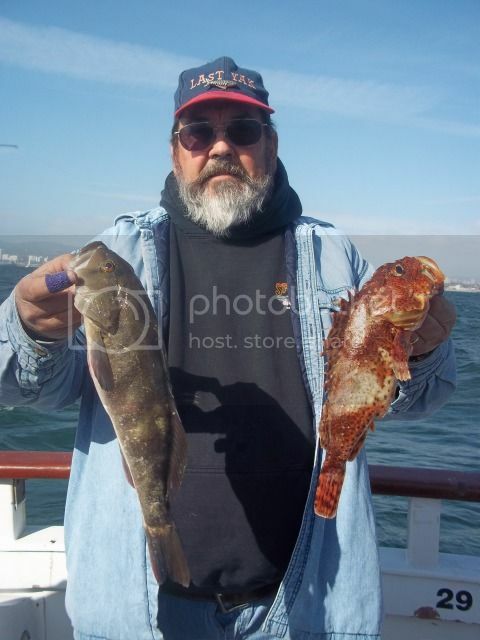 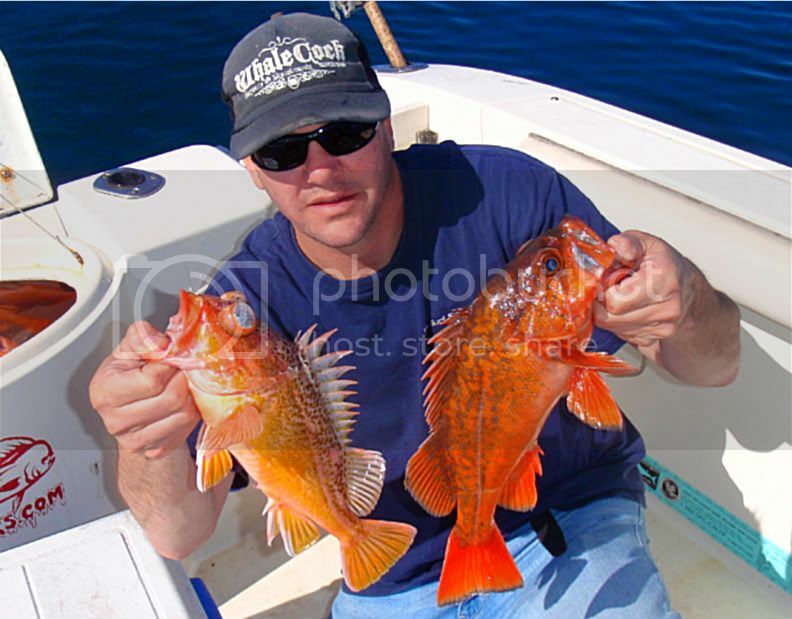 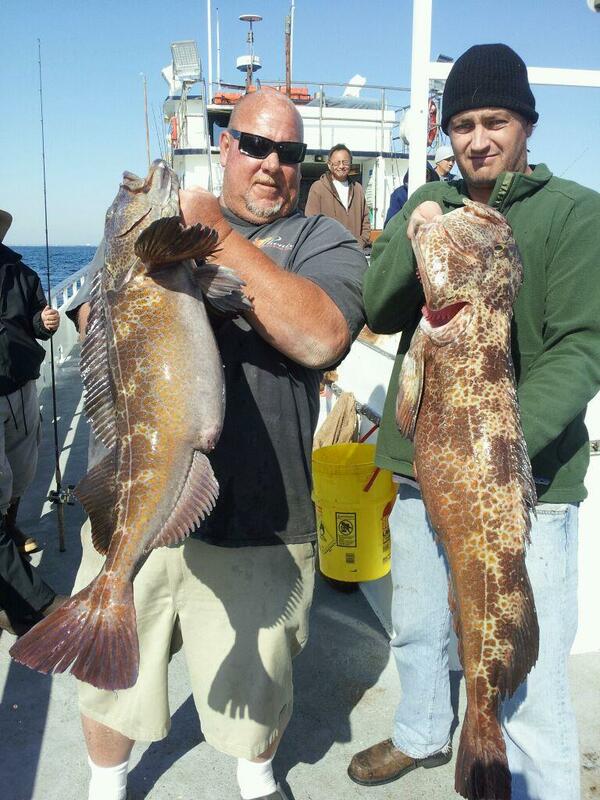 Both the Freelance and Western Pride out of Davey's Locker ran twilight trips on Saturday, 3-31-12, and both had excellent Sculpin fishing to go along with some Sand Bass and assorted Rockfish. 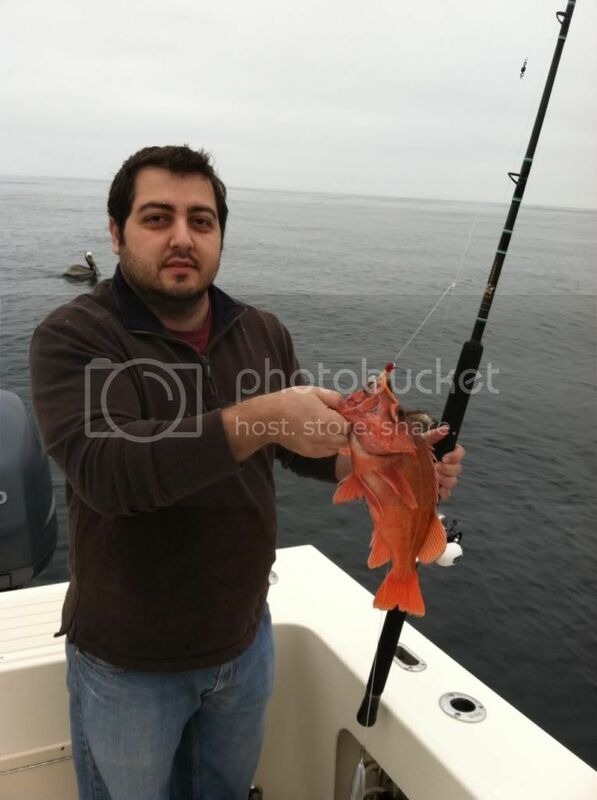 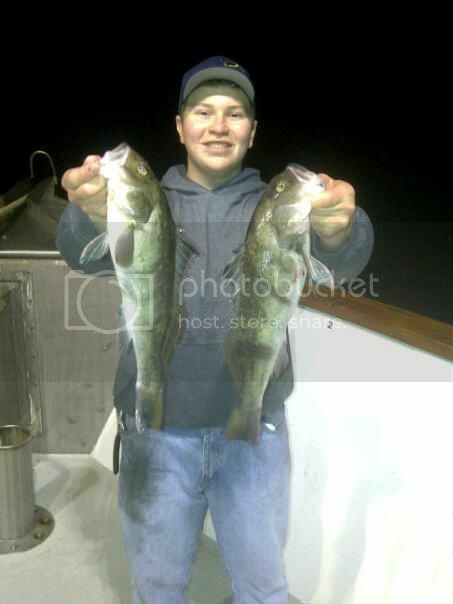 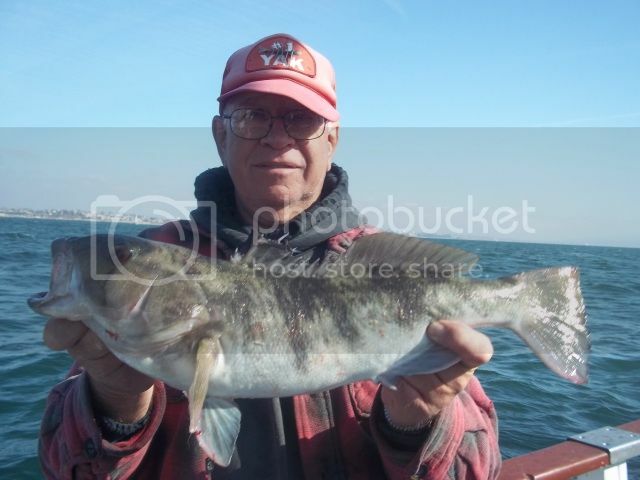 Private boater Vince fished on Saturday, 03-31-12 with friend Jason. 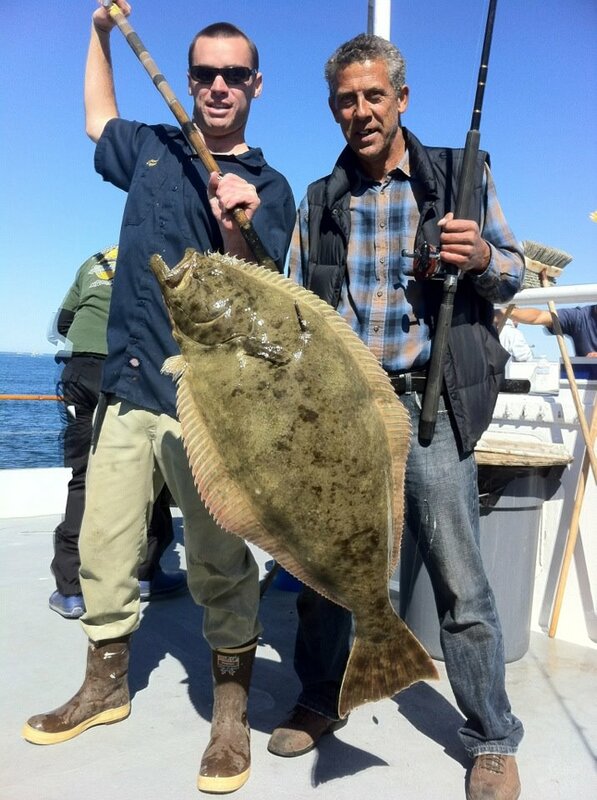 They slammed the Bass and added a nice Halibut. 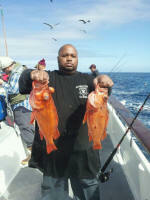 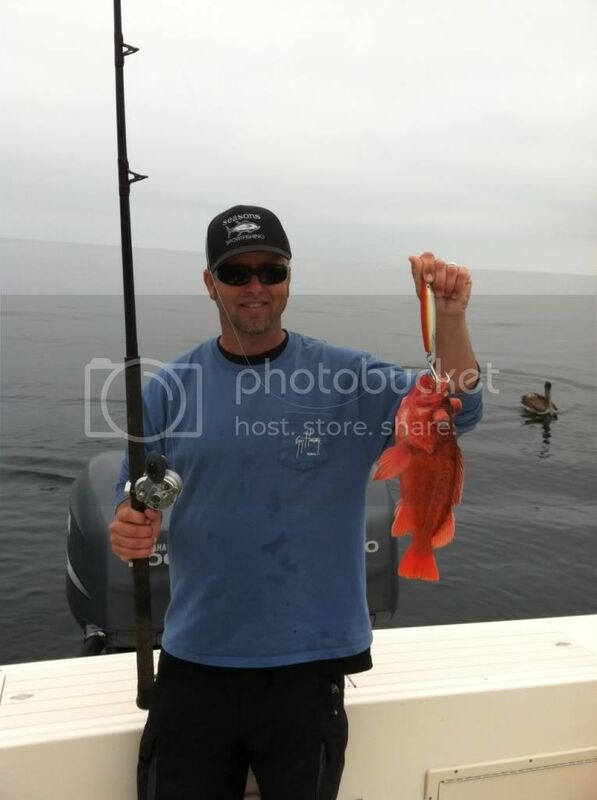 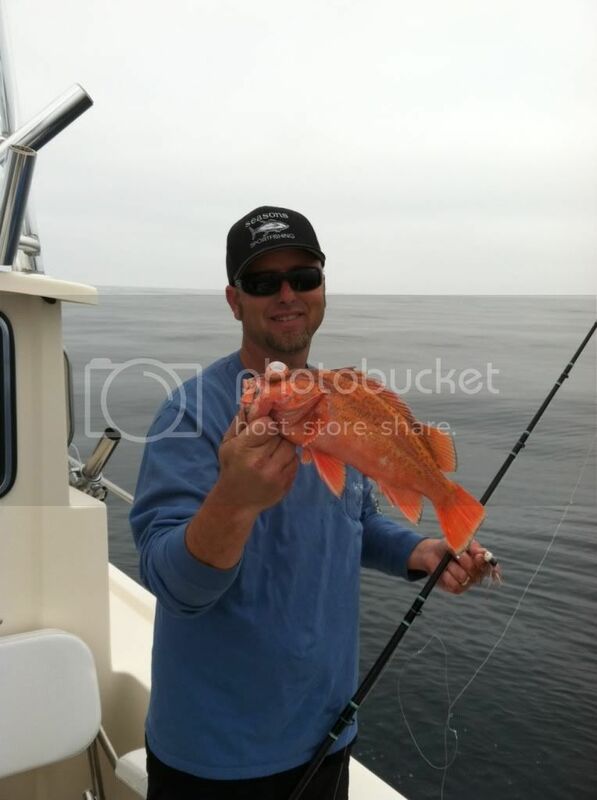 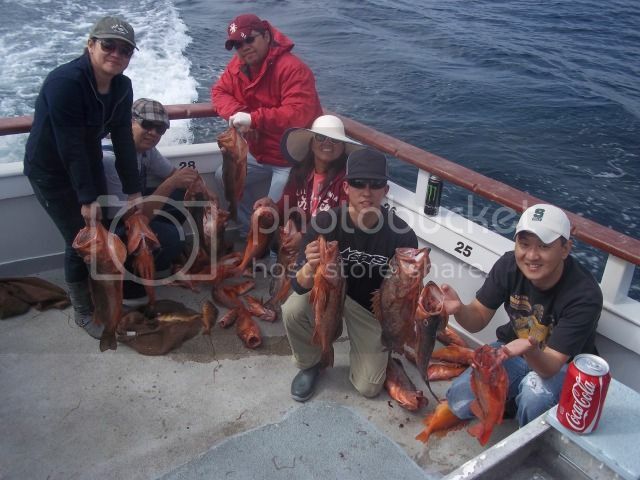 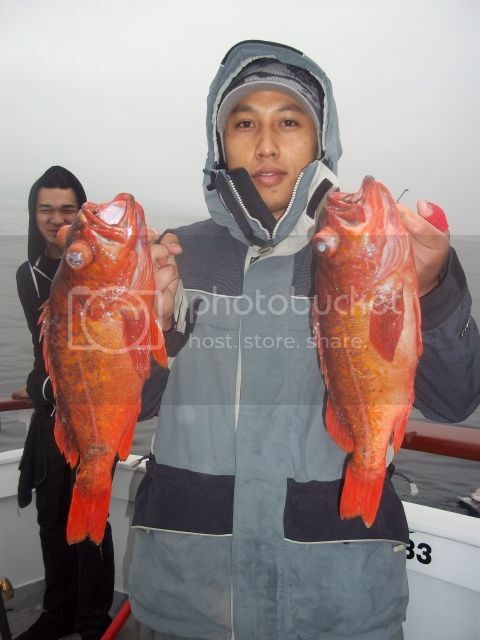 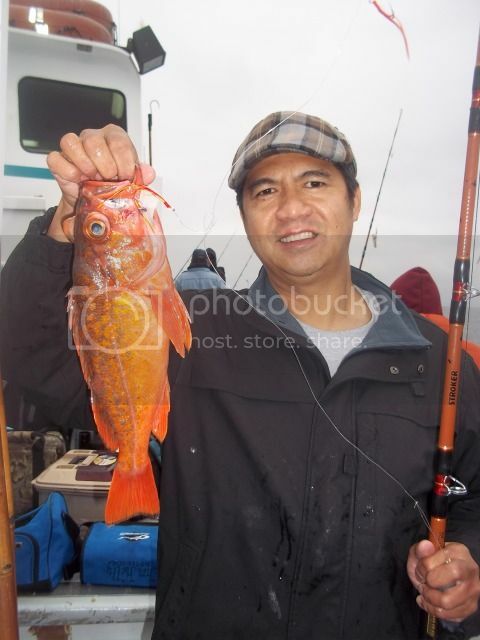 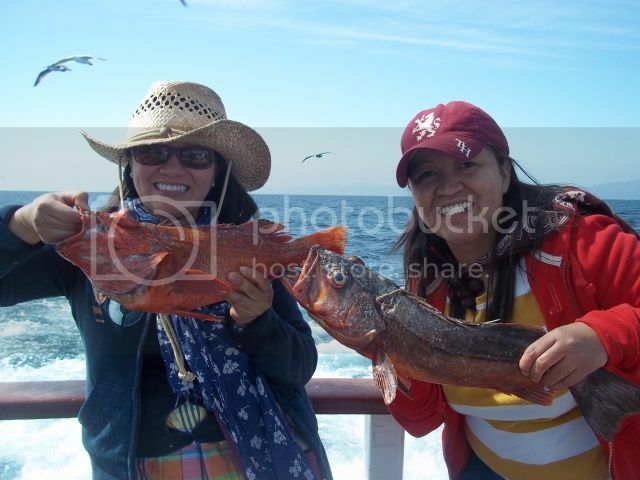 The ½ day boat New Del Mar caught 78 Rockfish and 110 Sculpin on their Tuesday, 04-03-12 trip. 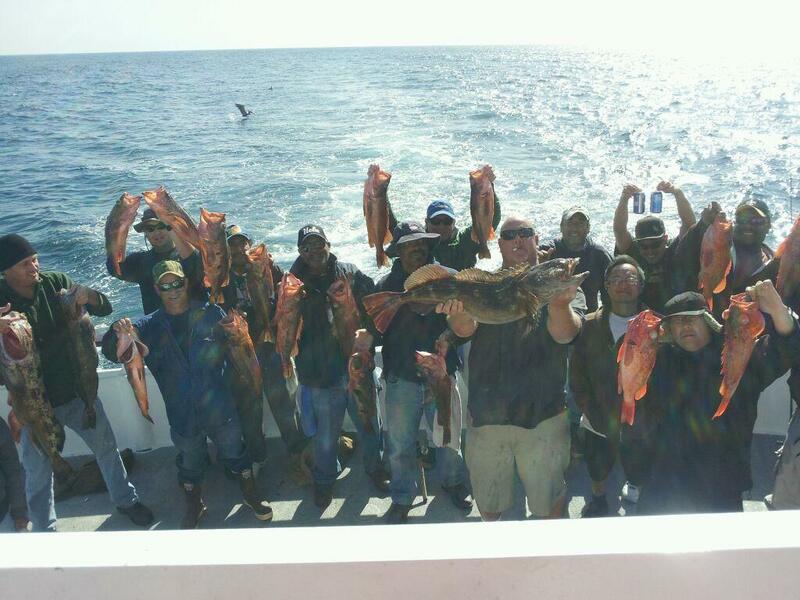 The ¾ day boat Spitfire loads up on the Rockfish on Wednesday, 04-04-12, catching 90 Rockfish and 180 Red Snapper for 34 anglers. 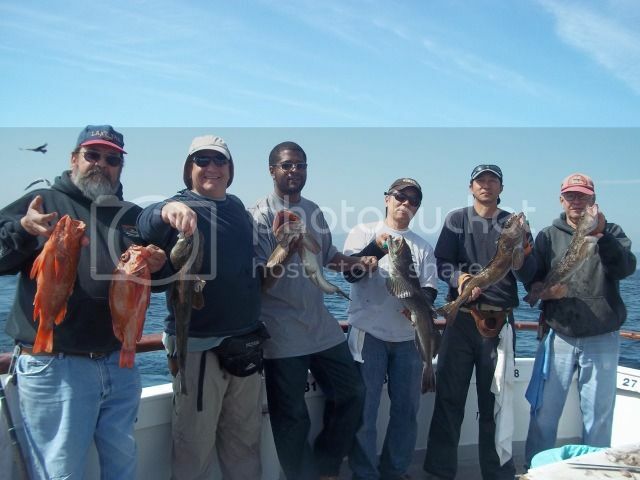 The ½ day boat Patriot out of Newport Landing ran a trip on Monday, 04-02-12 and caught 68 Bocaccio, 287 Rockfish and 8 Red Snapper. 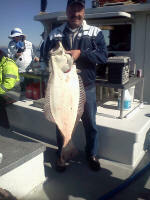 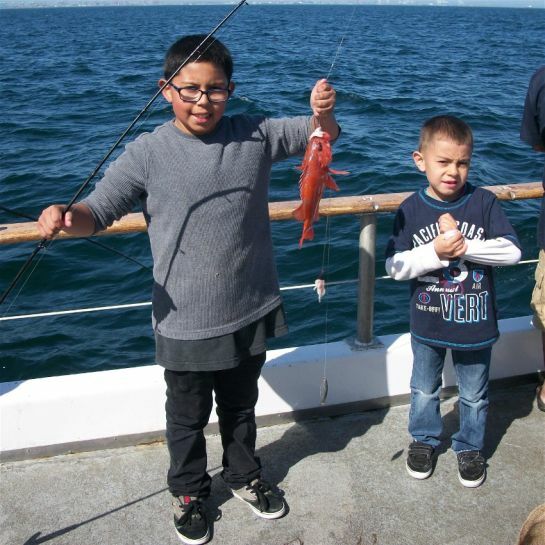 The Enterprise fished on Wednesday, 04-04-12, as 19 anglers caught 1 Sheephead, 108 Rockfish, 49 Sculpin, 200 Sand Dab and 52 Red Snapper. 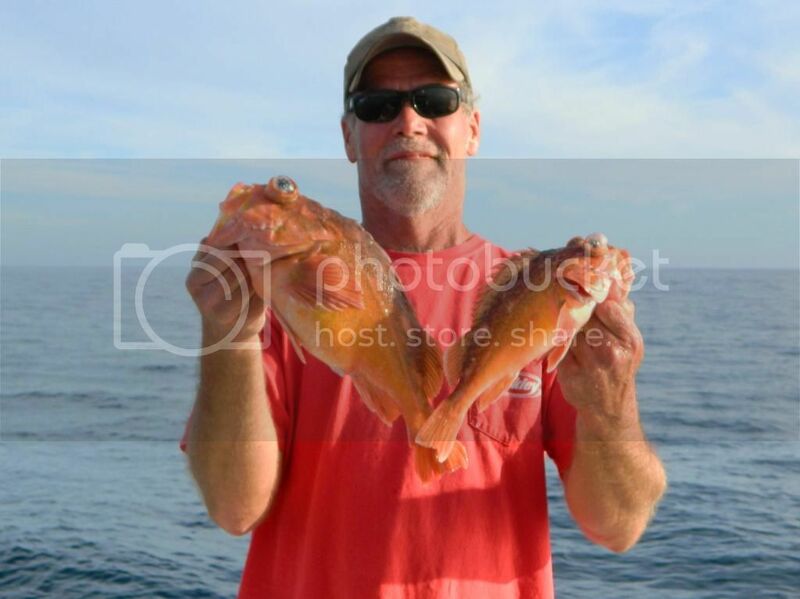 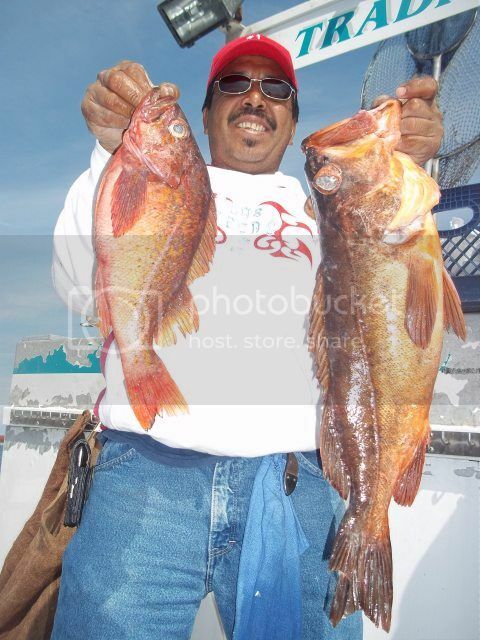 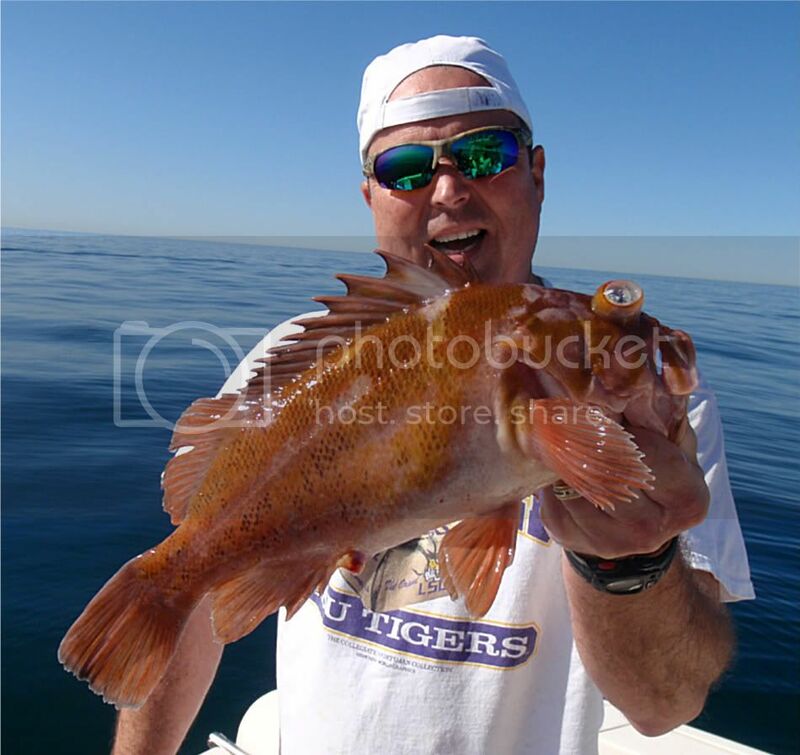 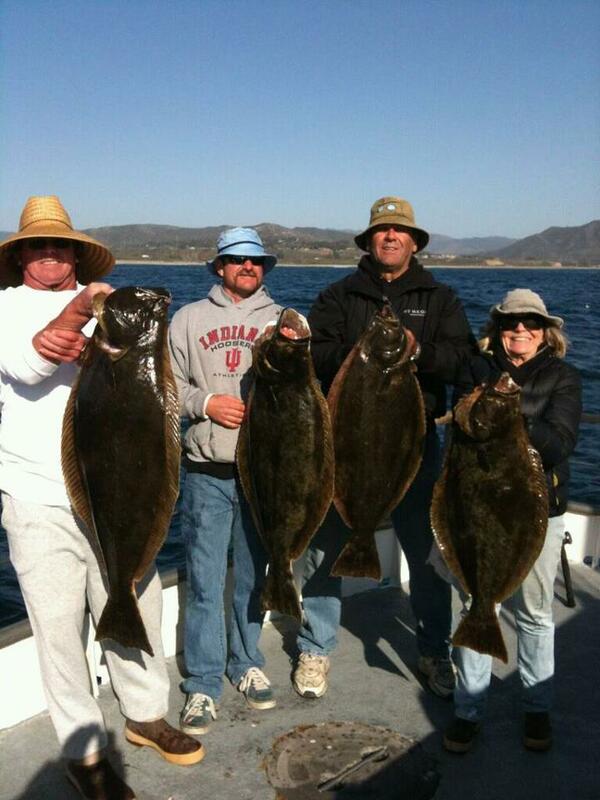 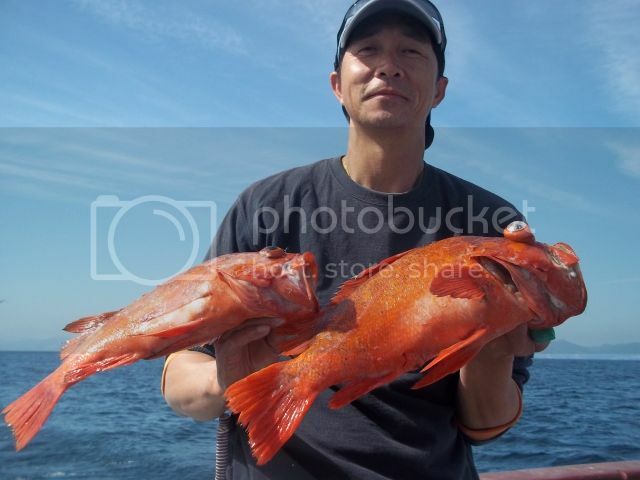 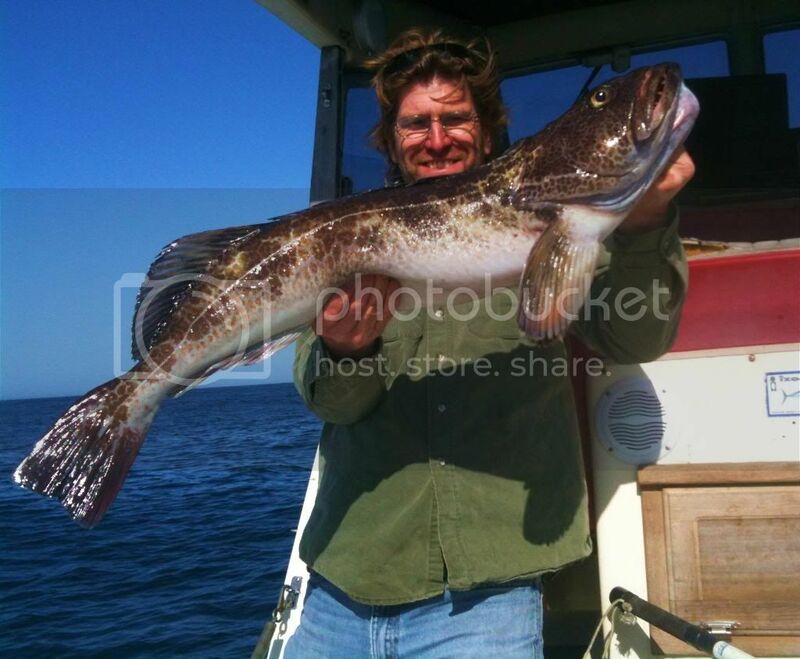 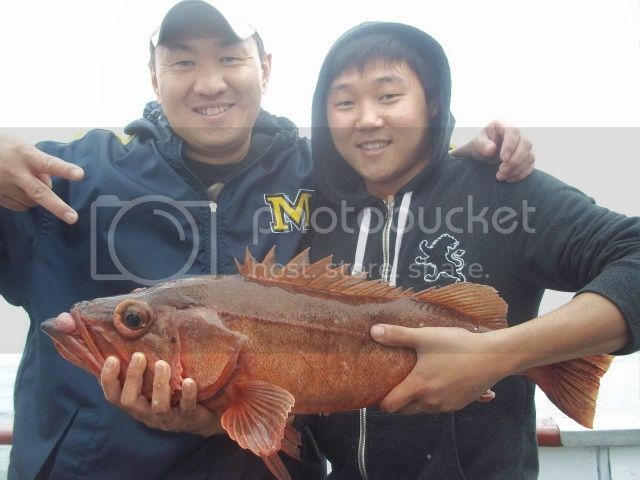 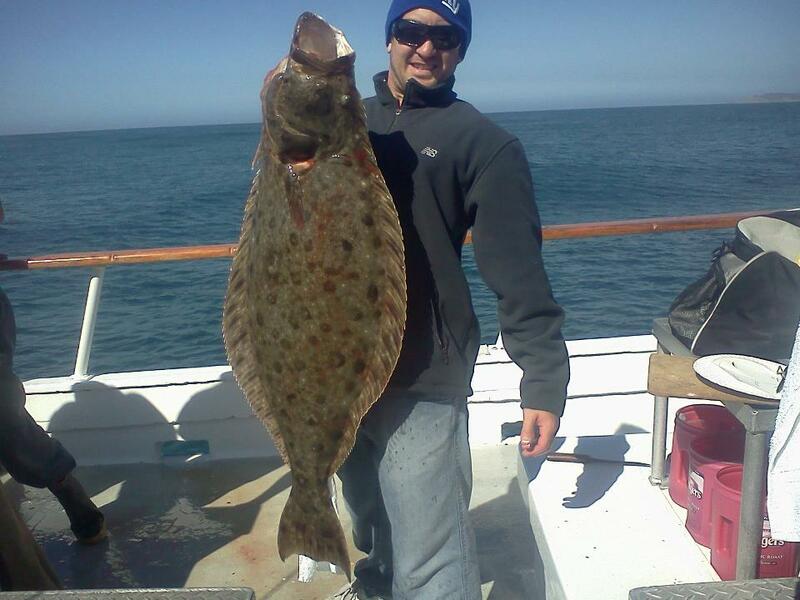 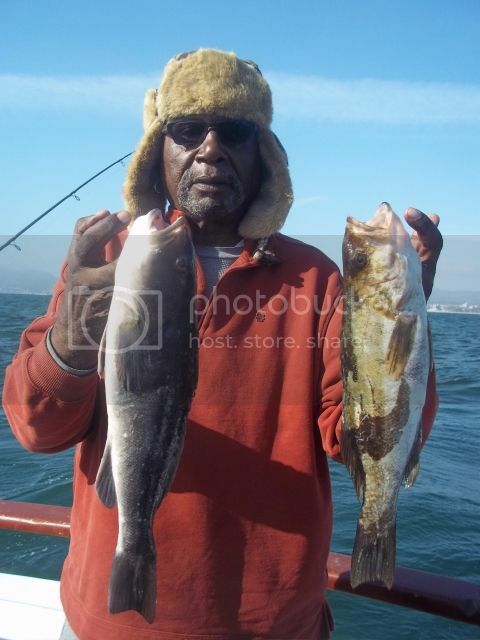 The ¾ day boat Sport King out of LA Harbor fished on Wednesday, 04-04-12, as 19 anglers caught 6 Sheephead, 35 Whitefish, 15 Bocaccio, 40 Rockfish and 105 Sculpin. 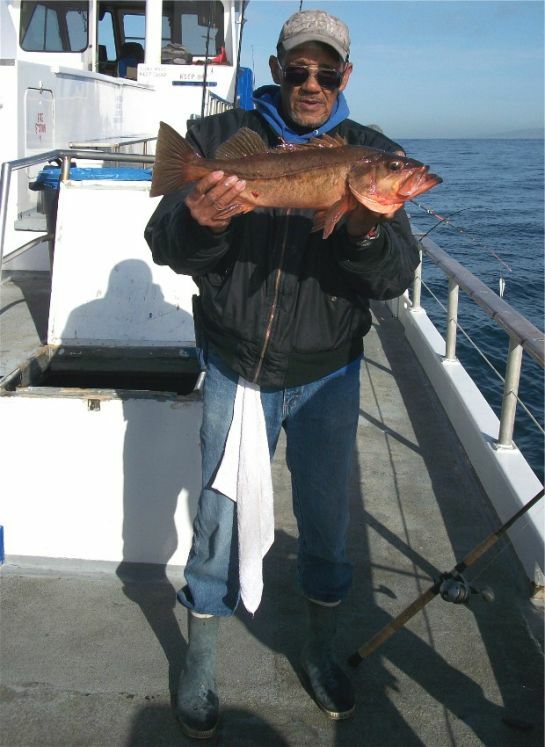 The 1/2 day boat Monte Carlo out of 22nd Street Landing ran a trip on Monday, 04-02-12 and caught 225 Rockfish, 44 Sculpin and 5 Red Snapper. 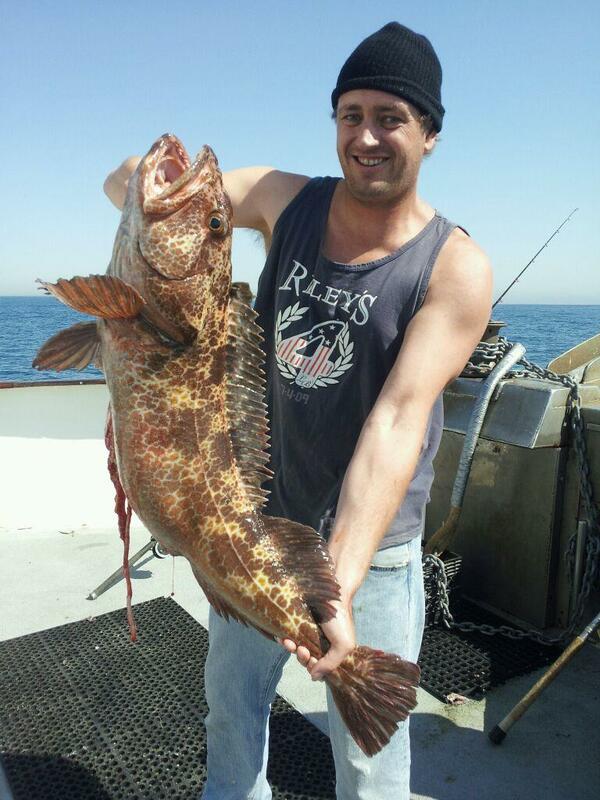 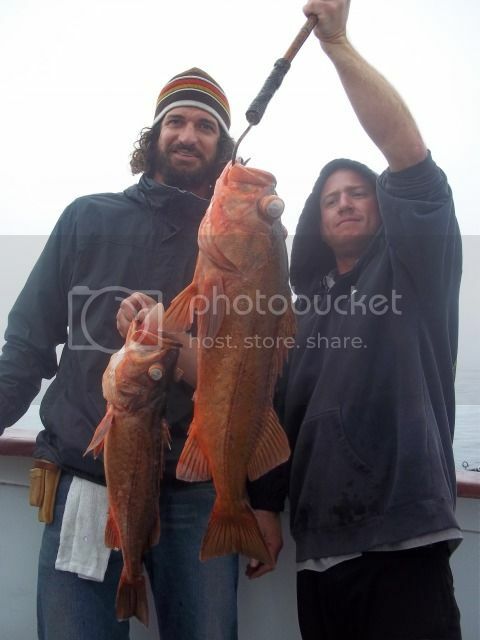 The 1/2 day boat Matt Walsh out of LA Harbor caught 18 Bocaccio, (limits), 30 Rockfish and 11 Red Snapper for only 9 anglers on their Monday, 04-02-12, trip. 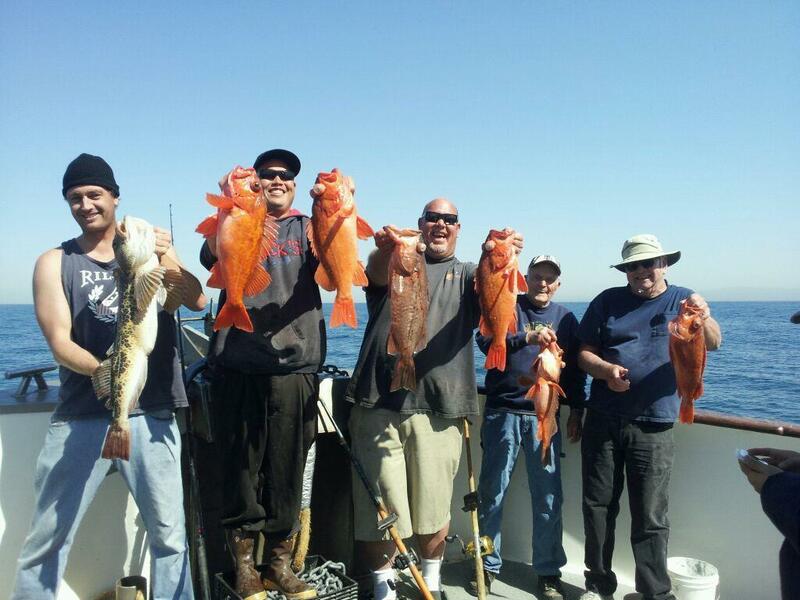 The 1/2 day boat Native Sun on their Tuesday, 04-03-12 morning trip, as they caught 60 Rockfish, 1 Sculpin and 28 Red Snapper. 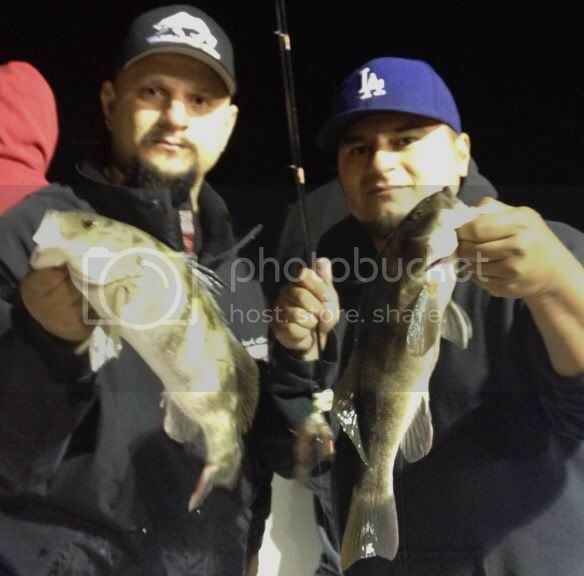 The Pursuit out of 22nd St. 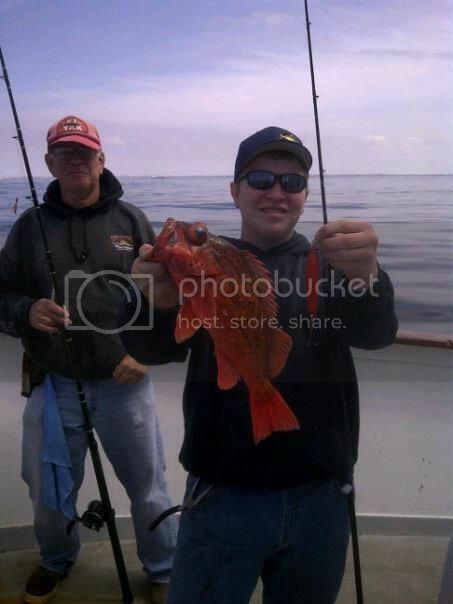 Landing, ran to the Island on Wednesday, 04-04-12, with 70 anglers catching 1 Calico Bass, 16 Sheephead, 131 Whitefish, 305 Rockfish, 19 Sculpin, 103 Perch and 5 Red Snapper. 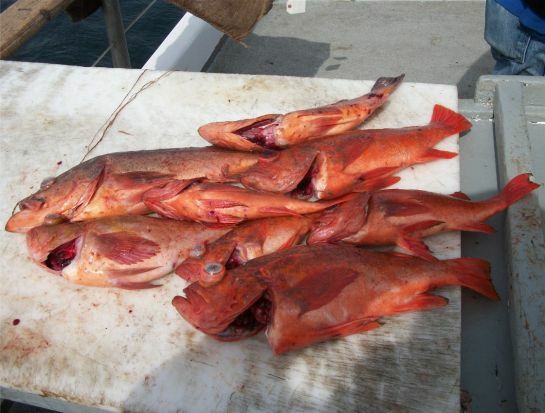 The Thunderbird ran to the Island on Saturday, 03-31-12 and caught 3 Sheephead, 50 Whitefish, 18 Bocaccio, (limits), 31 Rockfish and 41 Red Snapper for only 9 anglers. 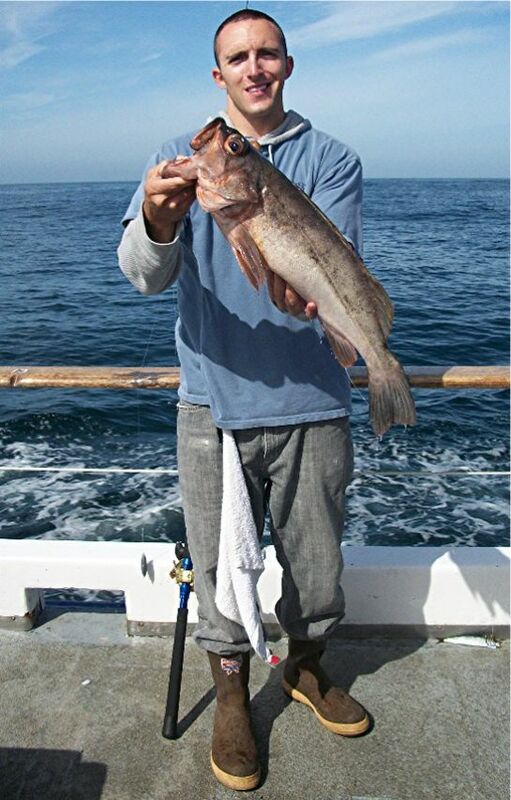 The weather forecast for the weekend is mixed with fierce winds today and tonight, breezy offshore in the morning, and decent locally for Saturday and breezy for most of Sunday? 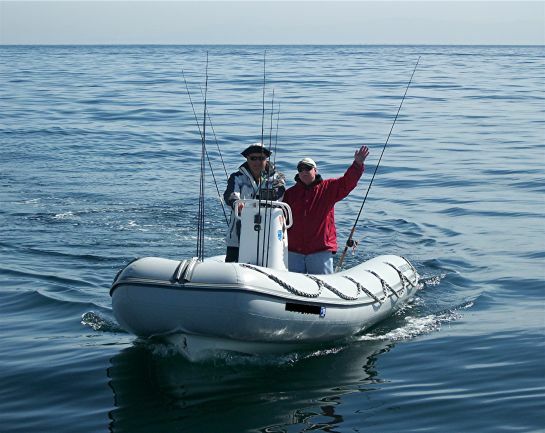 Always check the latest forecast before leaving the dock. 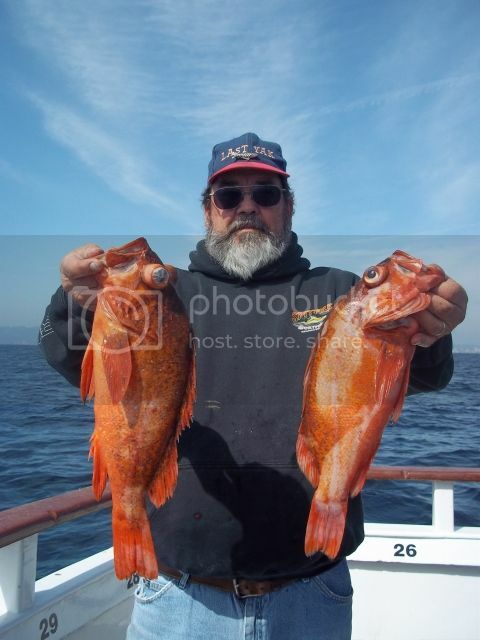 Hope everyone has a grand Easter weekend. 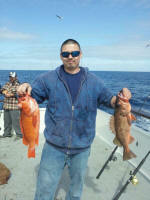 The decent weather on Saturday, 03-24-12 allowed a number of anglers to get in some fishing prior to the storm on Sunday and high winds on Monday. 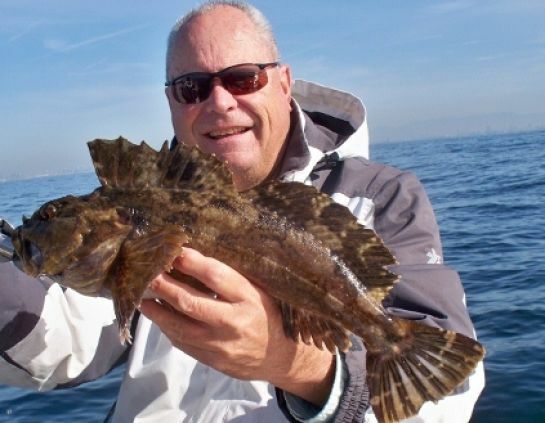 The reports from the ¾ and ½ day Sport Boats locally contained many successful stories, although Rockfishing is still the name of the game right now. 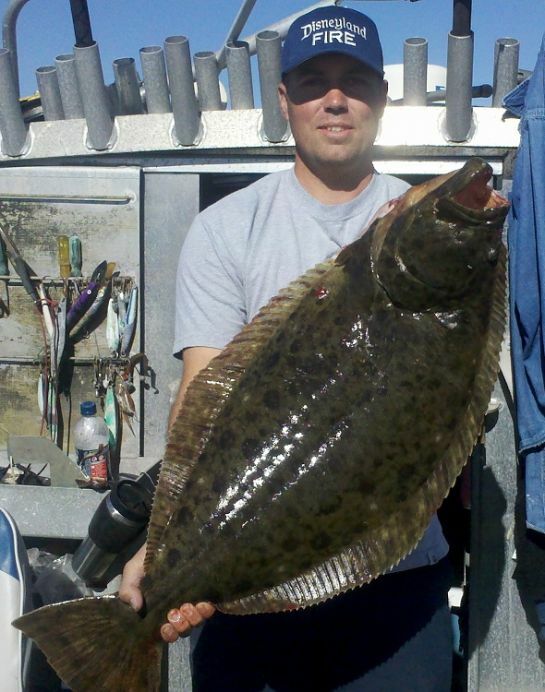 The recent storms have maintained the cold dirty water along the coast, which has put a damper on the Bass fishing. 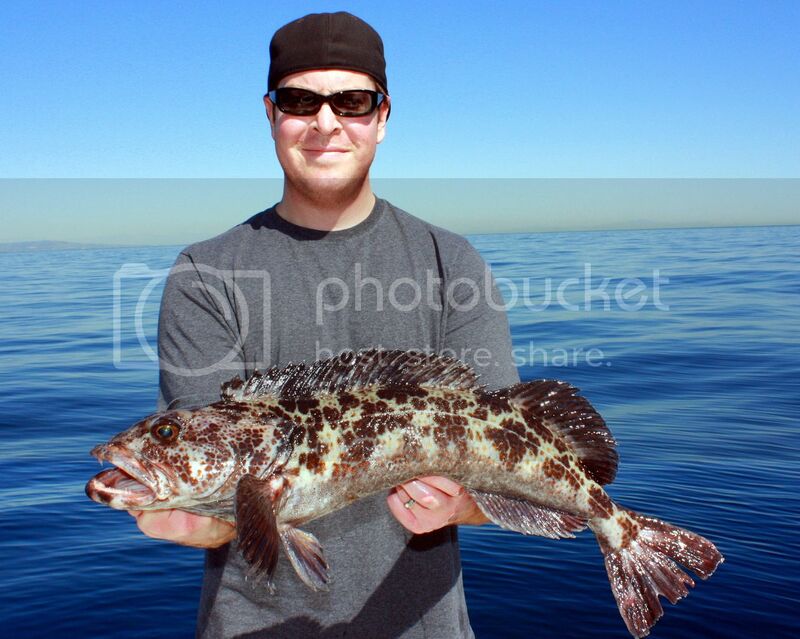 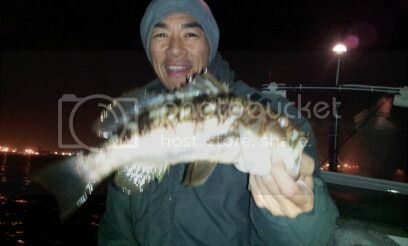 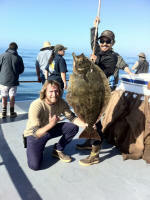 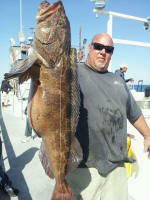 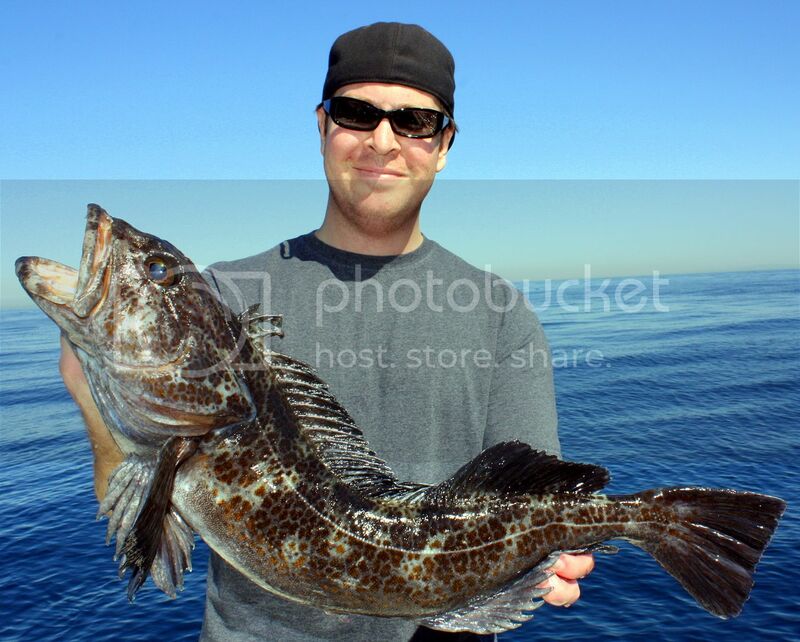 I fished with Lal Wednesday, 03-28-12 out of Long Beach. 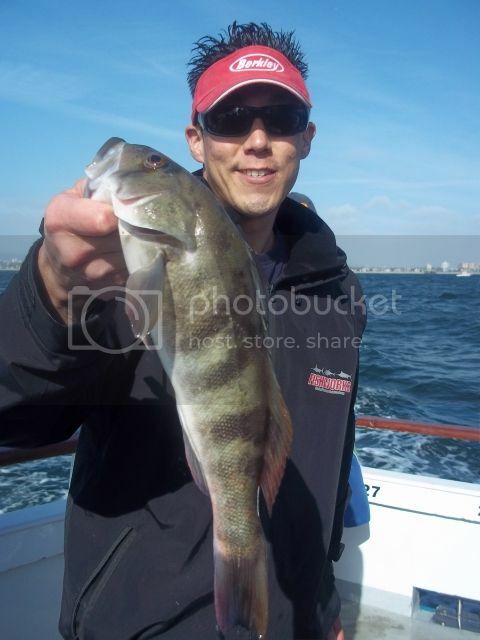 The Bass fishing was slow, as we caught only nine between us, plus a nice Cabazon, Sheephead and a Sculpin. 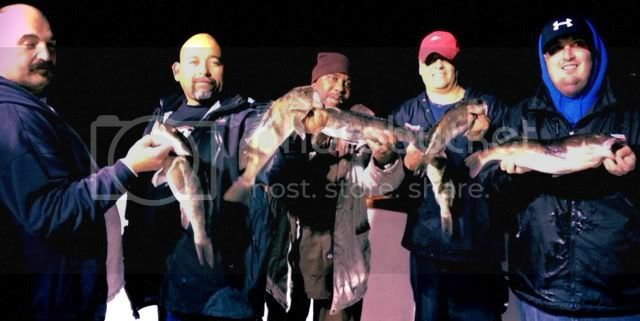 The Pursuit out of 22nd St. 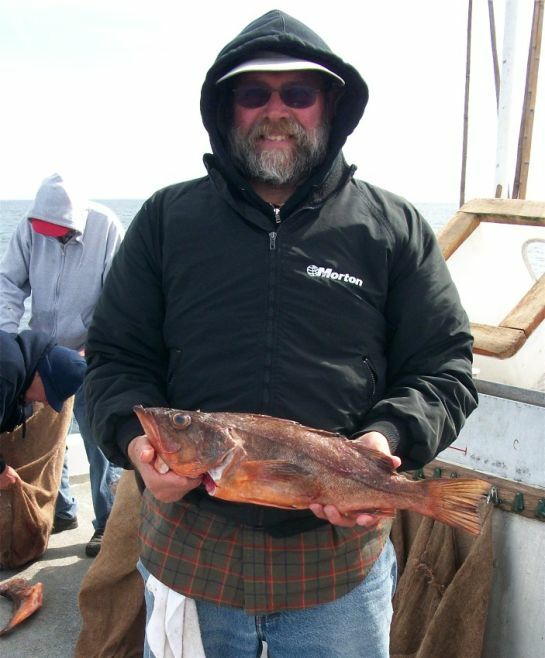 Landing, ran to the Island on Thursday, 03-29-12, with 17 anglers catching 1 Calico Bass, 13 Sheephead, 2 Whitefish, 141 Rockfish, 1 Sculpin and 13 Red Snapper. 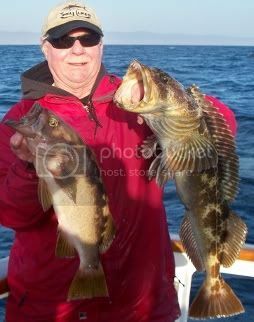 The weather forecast for the weekend is decent for Saturday and heavy winds forecasted for Sunday? 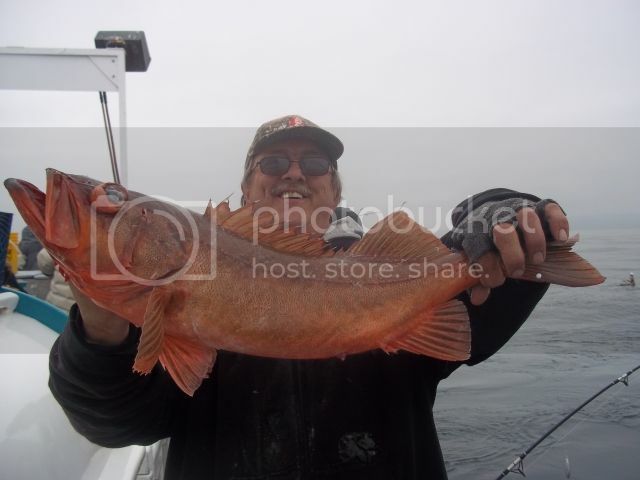 Always check the latest forecast before leaving the dock.